Life at 7000 feet: That was so much fun, let's do it again! 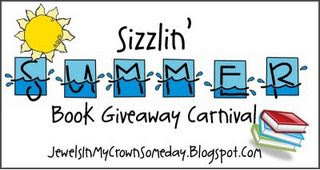 My sweet friend, Gretchen, is hosting a book giveaway carnival, and I wanted to join in! You can play along too...if you're so inclined. The rules suggest giving away a gently used book. This book is subtitled "Choosing Less in a World of More", and Joanne shares practical advice about slowing down, being prayerful and intentional, and savoring some of the most simple pleasures in life--home, family, and friends. It's easy to read and she shares lots of real life examples, ideas, and even some recipes! SO...if you want to be included in this drawing, please leave me a comment. If you want to join the fun and give away a book on your blog, go visit Gretchen's blog for a list of guidelines, and be sure to check out the sidebar on her blog for a list of other giveaway participants. Comments will close on Monday, June 30 at 11AM (mountain time) and I'll announce a winner shortly thereafter. I'm open to international shipping...so go ahead, join the fun. You don't have to have a blog to enter, but you must make sure I have a way to contact you if you win. Put my name in....and if I win you won't have to mail it overseas. sounds like just the thing for me. enter me, please! Oh, this is fun. I think I'll participate, too. I enjoyed giving away some of my 'gently used books' a few weeks ago. I love Joanne Heim. I read her blog every morning. Another book I'd love to read! I've seen that book and wanted to read it. Perfect for summertime reading! I am so in, it isn't even funny. I need a new book to read!!!! Practical advice, that's what I need!! I clicked over to say thanks for stopping by my blog and entering my giveaway, and you're doing one too! Count me in for yours! And, thanks for stopping by. Come back any time! Such fun! I need to join in and "give away" a book of mine! Thanks for posting this. I enjoy reading your blog--am a first time commenter though! Please put my name in the drawing! I've been wanting to read this book! I'd love to win. Thanks for a fun giveaway! Hey! I'd love to win your give away, plus my webmail isn't working so this is the only way I can contact you!! Thanks for praying for Todd - he's having a great time although he said today he's pretty tired. I'm going to try to post some more to the ol' blog as he reports in. What a great giveaway. My hubby is from the Caribbean and it is very easy for him to live simply and I am getting there. This sounds like a great book. sounds really good - count me in! Thanks. You know I definitely need to read this!!!! There is nothing better than a great book to read during the lazy days of summer! Sounds like one that I NEED to read! That books sounds great! I would love a new read! If I don't win maybe I can find it at the library!?! Thanks for the recommendation! I would like to be included. Thanks! This book sounds like just what I need. Please put me in your drawing. Thanks. This looks like a good one. Please enter me in the drawing. Thanks! Sounds great! Would love to win!! Sounds like a book for me! Please add my name. That is the book for me. 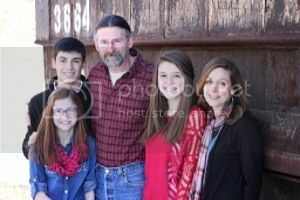 I need help with living with less! Count me in. This sounds like a great read. Count me in. I'd love to read this book. Enter me please! This book sounds so good - would love to read it. Thanks for including me in your contest! Sounds like a fab giveaway! Thanks a ton! Enter me in. The Lord has really been dealing with me about living simply. If I don't win, I think it is a book I will go and get. Thanks for sharing. I'm very interested in this one; please include me in your drawing. Sounds like a book I need. Please enter me in your giveaway. Thank you.